When its time to replace those wear out axles or even upgrade your drivetrain Bent Fabrication have the parts you need to done. 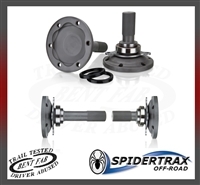 Maybe you are looking for a Spider Trax custom axles you can rest assure knowing that we been building and installing them for over 10 years. RCV Performance Ultimate CV Axles simply replace your Dodge Dana 60 u-joint axle shafts with a high strength constant velocity design. RCV Performance Ultimate 60 CV Axles simply replace your Ford F-350 1985-1988 u-joint axle shafts with a high strength constant velocity design. RCV Performance Ultimate CV Axles simply replace your Ford F-250 / F-350 60 u-joint axle shafts with a high strength constant velocity design. RCV Performance Ultimate CV Axles simply replace your Dana 60 u-joint axle shafts with a high strength constant velocity design. Don't see the what you are looking for. 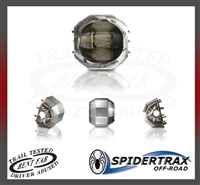 Know problem contact us and we will help you get the right parts for your off-road and 4x4 vehicles.